Advancer PLUS has Rite Factor technology in the bag, plus added barley for the smoother look and fresher handle desired in today’s competitive show arena. 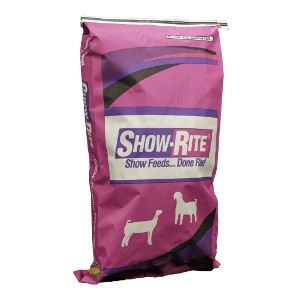 Utilizing specific levels of protein and energy sources, this feed has the unique ability to “Advance” maturity and muscle development and maximize genetic potential in show goats. Vitamin A, min 8,000 IU/lb. Vitamin D, min 900 IU/lb. Vitamin E, min 190 IU/lb. *Includes not more than 1.6% equivalent protein from non-protein nitrogen.